If you love scuba diving and have enjoyed your PADI diving courses so far, contemplating a career in diving is not just a daydream. Continuing your PADI training up to and including the professional courses is absolutely attainable, even if you have just completed your beginner certification course, the PADI Open Water Diver course. Underwater Vision PADI 5 Star IDC Dive Resort is fully equipped and staffed to get you through your courses and professional training with an added edge of professionalism, confidence and on the job experience to give you a head start to your career as well as the tools to land a superior job in the growing and diverse scuba diving industry. 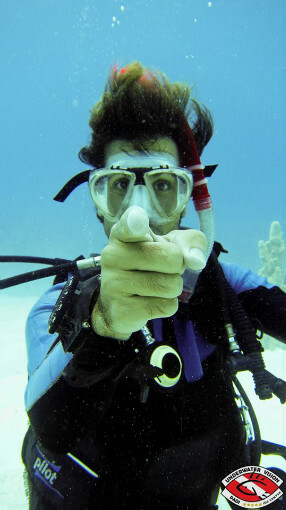 The first step toward a career in diving is the desire to become a scuba diving professional. You might be 18 years old, you might be 40 years old if - you want it you can and will do it and the first step is to read further on how to accomplish this career path, make your plan, and act on it! Check out our Go Pro Package Deals to get you started! 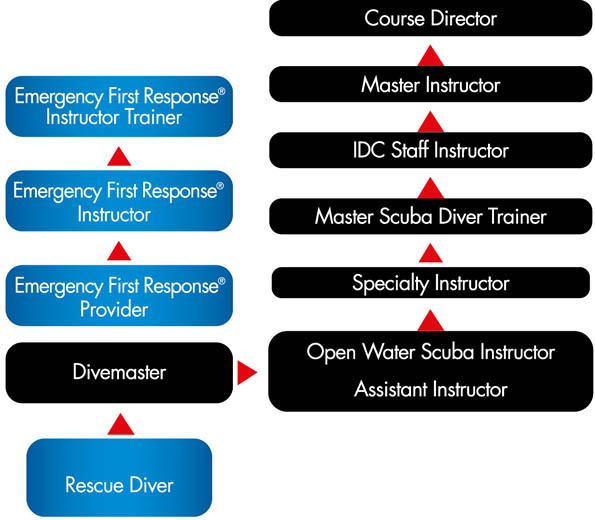 Certified diver through to Rescue Diver, but not a PADI Pro? The PADI Go Pro Package is the best option for you.